Edward Buzzell’s Song of the Thin Man was a bittersweet viewing experience for me. 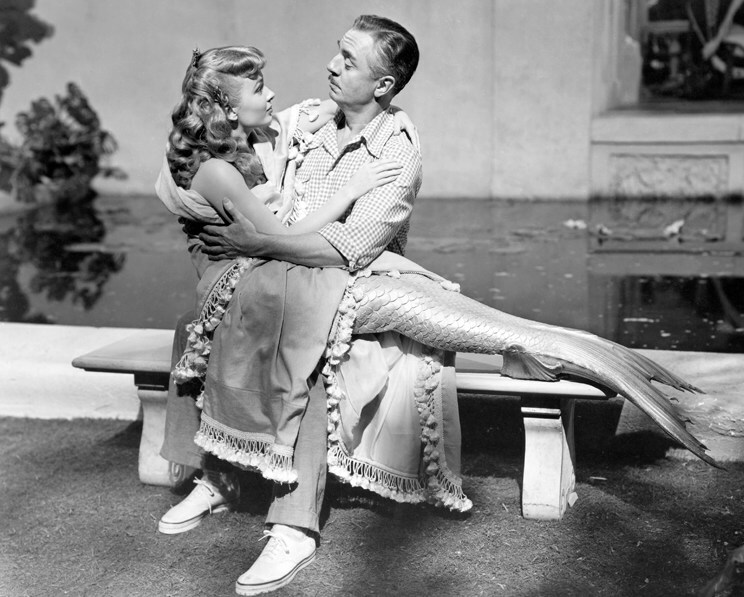 I’ve been a huge fan of the Thin Man series since the first film, The Thin Man (1934), so it was a little sad to know that Song of the Thin Man would be the last new film I’d see with William Powell and Myrna Loy as everyone’s favorite dipsomaniacal mystery-solving married couple, Nick and Nora Charles. 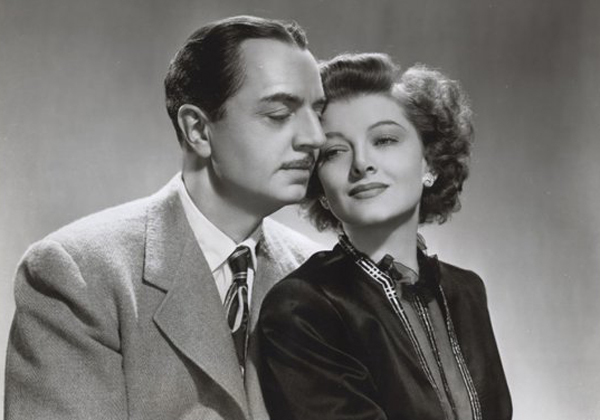 While some films in the Thin Man series are better than others, all of them are funny, well-made mysteries featuring two of the most appealing actors from Hollywood’s Golden Age. But not to worry. Having a young son doesn’t stop Nick and Nora from continuing to booze it up and skulk around at night with flashlights, looking for clues. 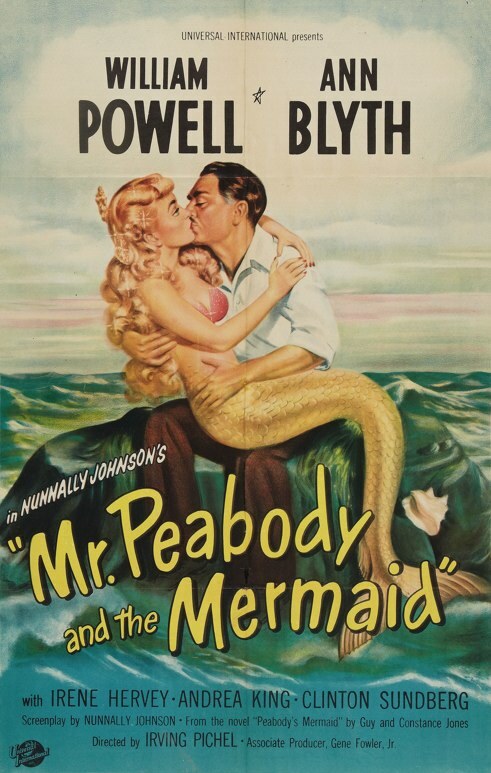 The mystery they’re trying to solve this time around is the murder of a jazz band leader named Tommy Drake (Phillip Reed), who is shot aboard the S.S. Fortune, a gambling ship run by a man named Phil Brant (Bruce Cowling). 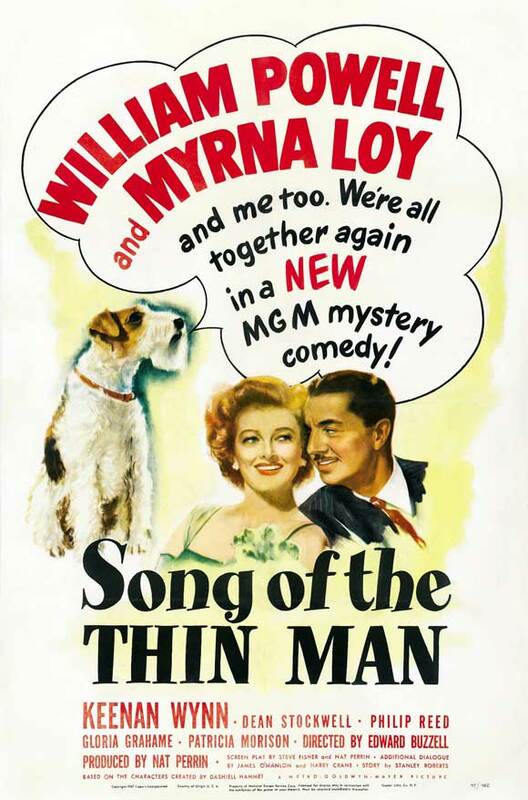 True to its title, Song of the Thin Man is all about music. Specifically jazz music, and the wacky nightclub performers who jam till dawn, like Drake’s former bandleader Buddy Hollis (Don Taylor) and his famous clarinet. Hollis is a talented musician, but he’s all whacked out from carrying a torch for the hot little cookie Fran Ledue Page (Gloria Grahame), a singer. Keenan Wynn is also on hand as musician Clarence “Clinker” Krause, and he proves that his incredibly annoying character in The Hucksters (1947) wasn’t a case of lightning striking once. The mystery in Song of the Thin Man isn’t that clever or involving. But as always with the Thin Man movies, the mystery and its solution is less important than all the fun Nick and Nora have carousing their way through it. Powell and Loy were 41 years old and 28 years old, respectively, when the series began, so by the time they made Song of the Thin Man together they were starting to get on in years, but Loy looks just as beautiful as she did in 1934, and I don’t think anyone ever went to see the Thin Man movies for Powell’s looks. All good things must come to an end, but I wish there could have been just a few more Thin Man movies with Powell and Loy. 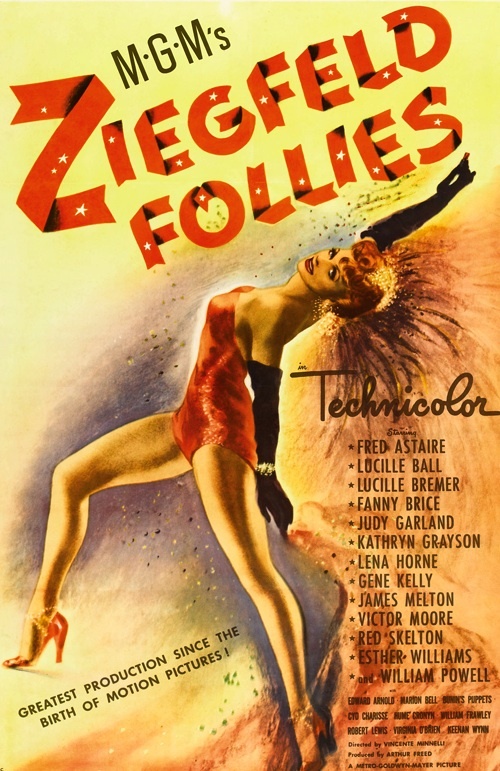 Posted in 1947, August 1947 and tagged Comedy, Dean Stockwell, Edward Buzzell, Keenan Wynn, Metro-Goldwyn-Mayer, Myrna Loy, Mystery, The Thin Man, William Powell. Bookmark the permalink.